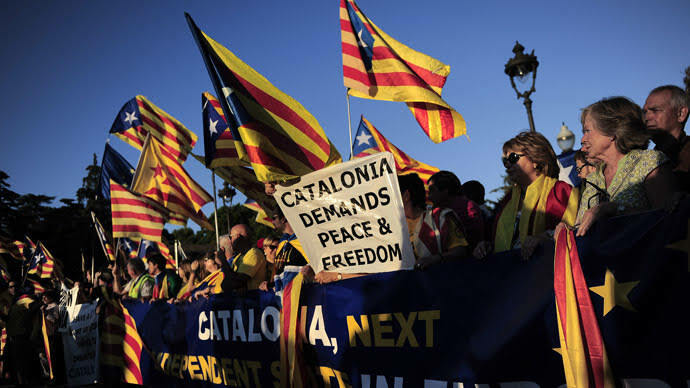 Twelve Catalan leaders are on trial in Madrid over an independence referendum. "If there is a socialist government, there will be no independence in Catalonia, there will be no referendum for independence and the Spanish constitution in Catalonia will not be violated -- that will not happen," he added. Sanchez's speech came after the socialists' leader in Catalonia, Miquel Iceta, said in a newspaper interview that 65 percent of Catalans wanted independence and that "democracy must find a mechanism to enable it". Iceta's remarks, to a Basque newspaper in late March, have been heavily criticised by the rightwing opposition People's Party and led to allegations that Sanchez is preparing a deal with Catalonia's separatists.